So you want to be part of an exciting, soul-deepening circle of writers, but you’re not crazy about the Alaskan wilderness? And maybe you want palm trees, sandals and sunshine-in-the-middle-of-winter and maybe even a world-famous spa at your doorstep? Ahhh! Then this workshop is for you! We’ll gather at a beautiful home on a golf course under the San Jacinto mountains, in the warmth and sunshine of the winter desert. Mornings I'll lead inspiring classes, where we'll write, read, laugh, listen, share, all growing in knowledge of words, faith and story. Afternoons---anything is possible! You can go to the (affordable) nearby spas featuring world famous hot springs. We'll have access to a large swimming pool, jacuzzi and and workout facility. There's hiking on the superb mountain trails nearby. Exploring the fascinating city of Palm Springs (they have killer thrift shops, people!) Evenings we'll gather again for food, drink and readings, sharing our best work with one another and cheering each other on! 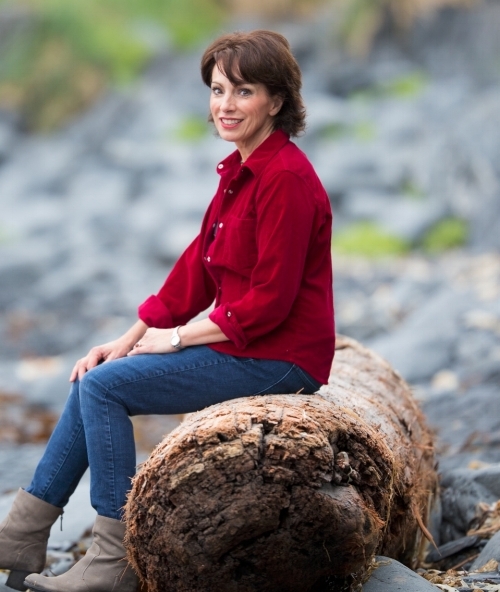 Leslie Leyland Fields is the multi-award winning author/editor of ten books, including The Wonder Years: 40 Women Over 40 on Aging, Faith, Beauty and Strength, Crossing the Waters: Following Jesus through the Storms, the Fish, the Doubt and the Seas, which won Christianity Today's 2017 Book Award in Christian Living. Her other books include Surviving the Island of Grace (Thomas Dunne), The Spirit of Food: 34 Writers on Feasting and Fasting Toward God (Cascade Press), and Forgiving Our Fathers and Mothers (Thomas Nelson). The Spirit of Food won three "Best Book of 2010" Awards. Her books have been translated into eight languages. Her essays and articles have appeared in The Atlantic, Orion, Best Essays Northwest, belief.net, The Jesus Creed, In Touch, Prairie Schooner, and many others earning her Pushcart nominations, a number of Evangelical Press "Higher Goals" awards and a Genesis Award. With three graduate degrees (in English, Journalism and an MFA in Creative Nonfiction) she has taught extensively. Leslie was a founding faculty member of Seattle Pacific University’s MFA program where she taught creative nonfiction for six years. She taught Literature and creative writing at the University of Alaska for fifteen years. The Harvester Island Wilderness Workshop, which Leslie founded seven years ago, has welcomed Ann Voskamp, Philip Yancey, Bret Lott, Luci Shaw, Jeanne Murray Walker, and others. *Instruction includes a 30 minute one-on-one tutorial session with Leslie. Four days with 5 hours of instruction each day including writing exercises, workshopping manuscripts, creativity-building, publishing how-to's, etc. Afternoons are free for spa-ing in the local hot springs, hiking on the superb mountain trails nearby, exploring the fascinating city of Palm Springs. Evenings we'll gather again for food, drink and readings, sharing our best work with one another and cheering each other on! *Cost: $800 for all classes and lunches. *Lodging, breakfast and dinner are on your own.